Giving a Name to the Child A step by step Guide to Mothers and Fathers. 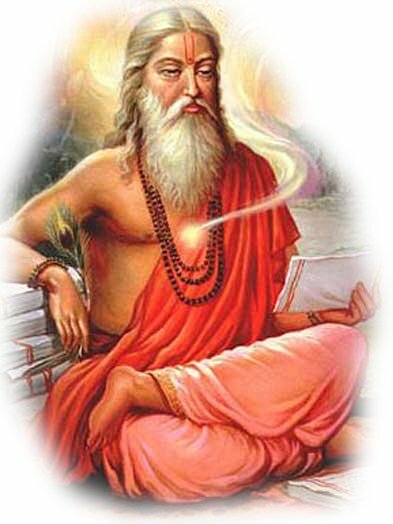 Ayurvedic Herbal Database, Free Ayurvedic consultations and more..
Vedic Astrology and horoscope software FREE for you. Bad Planetary Influence in Astrology. What is it.? Chinese art of Feng-shui. is something similar to "Vastu" in Vedic traditions. In Chinese, Feng-shui means understanding "The forces of Nature". Dedicated to the memory of world heritage Bamiyan Buddha statues destroyed by fanatics for no reason at all. View the daily, weekly and yearly Astrology Horoscopes for each birth sign..
A 1600 pages of beautifully illustrated Buddhist Story Book of "Dhammapada" (Worth 85US$ in hard cover) in PDF format. Get your Free Astrology Reading Right now ! Know the date and time of birth ?. Got a couple of minutes to spare ?. 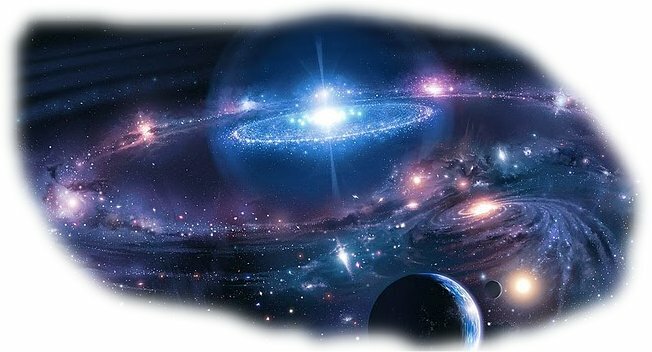 Just try out these free horoscope readings and find whether the said things are reasonably correct or not .. Instant Divine Guidance - Answer to your Question immediately ! Hi.. you are from .... arn't you ?. I know that you have a question to ask from this Oracle...... It is Free.... Click here to ask your Question.. The only thing an another good astrologer or an Astrology web site will not be able to provide you and available exclusively from me is the unique Full Life Horoscope Reading described below. You will not get it from any where else. In Astrology, there are good days and bad days, good times and bad times find out those..
What is Horoscope Matching in Astrology ? What is Kuja Dosha or Mangalik Dosh in Astrology ? 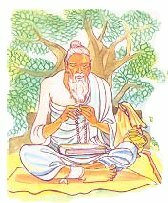 A good astrologer according to sages, should be an intelligent well educated, healthy, clean, strong, honest, person with great integrity, wisdom and knowledge, a Brahmin with pleasing & kind personality. (See The Buddha's definition of who is a Brahmin and who is out or low cast , in "Vasala Sutra"). Through his ability and knowledge of how to reveal past, present and future, such an astrologer becomes the next closest thing to the appearance of divinity on earth. It was also indicated by sages that those who knowingly deceive people in the name of Astrology and bring bad reputation to this great science, will be born after death in the hellish realm called "Raurawa". Panchanga. The Art of Good Timing. Calculate the Auspicious Days for any year.. The anxious waiting for the printed Panchanga almanac of the year to find Auspicious Days and rush for the bookings of venues for wedding ceremonies is now over. Hi, to you from .... this is for you to think. You are needed . Every thing in this world or universe is Balanced. If some thing is too much then it is not a good thing. It leads to a disaster. Dark thoughts brings darkness. There is too much violence too much cruelty happening. If you do not balance it with the opposite thoughts then future of your children is bleak. You are needed now. Clear your mind of violence, cruelty and negativity, oppose it. Use your FB or what ever to say No ! to it. Else by not doing any thing, not opposing it. It will be too late for you and your children, as you drag them with you to a very dark future. First of all your children need a planet to live. You are going to destroy it with your senseless violence . May peace be upon this world ! May all beings are Happy and Well !! May all beings are infinite boundless, beings of pure light, filled with love compassion and kindness for all other beings, with never occurring a slightest of thought of harming an other being !!! 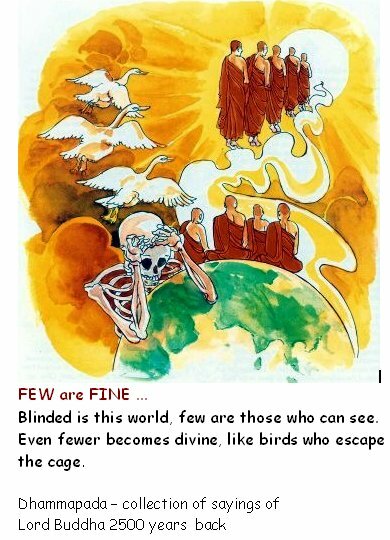 May all beings are free from sufferings of Samsara !!! How to get rid of the attachment (Karma) and get liberated? Day and night the monks preach, but very few seems to listen. Those who listen are getting better and better with every passing day. Yet, day by day majority are getting vicious and vicious. What is this life ? While listening to one of the dhamma discourses in which he was explaining the "Wishwa Swabhava" (Universal condition) A thought came to my mind that it can be now better explained using modern computer related examples..
What if we imagine for a moment... that Universe is a Huge computer and life is a Virtual Reality RTS (Real Time Strategy) Holographic game, a cruel, harsh and a hard game of Maya, in which time is unlimited and the aim is to experience emotions and to spiritually progress. While experiencing emotions, you gain points some + and some _ (Called Punya and Papa or good and bad merits ). The driving force is attachment created by the dilution or the Avidya. In this game the designers themselves are the players. But when you come to play the game the precondition is that the knowledge that you are a part of the creation process (Buddha Swabhava) of all this needs to be forgotten as otherwise there is no reality factor in the game. From time to time THATHAGATHAS appear with the message from the Game Administrators to remind those who had forgotten, that it is good time to return if they wish so and to show the way to the exit door to the reality of "Nirvana Swabhava" or the blissful condition... Yet many more ignore that and keep playing while very few wish to return.. The way back is Middle path. Stop playing the game with hard intention. Thus not creating Karmas which form bond or attachments to the game as well as generating Game points. (Good merits and Bad merits) .. as points too can prolong the play (Samsara).. So once you stop playing and clear and purify the mind (Sabba papassa Akaranm...)knowing the reality of that, this is an illusion or a Maya, then you will not regenerate a life inside this game..
2. Pictures found on the ceiling beams of a 3000-year old New Kingdom Temple, Abydos. 4. Ancient structures resembling partially destroyed cities ? 5. Russian scientist invents camera to take pictures of past says.. "Pravda"
An appearance of a Buddha & the opportunity to know Dhamma (The way Karma works) is rare indeed, unfortunate are those who miss it.